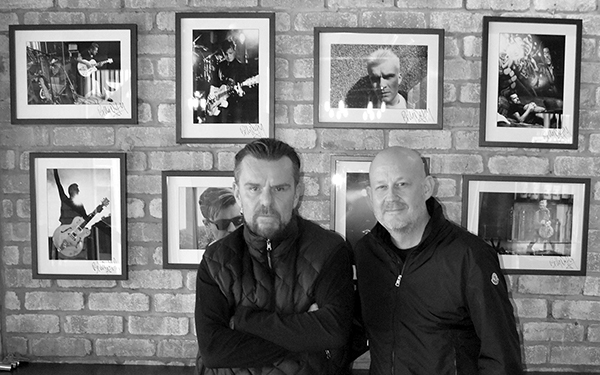 Last week in Manchester there was an Pop Up Exhibition of Photos & Prints of Billy by long time pal Mick Peek. 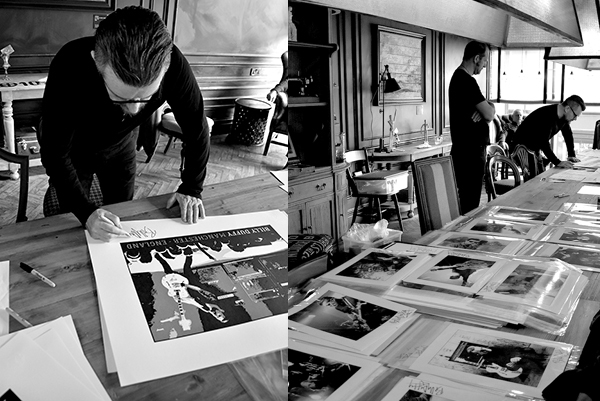 The Exhibition featured a brand new Manchester-themed limited edition screen print, as well as a collection of 14 black & white photos of Billy taken by Mick over the years, including some never seen before images. Also included in the show was a life-size photo print of Billy’s signature Gretsch White Falcon guitar. 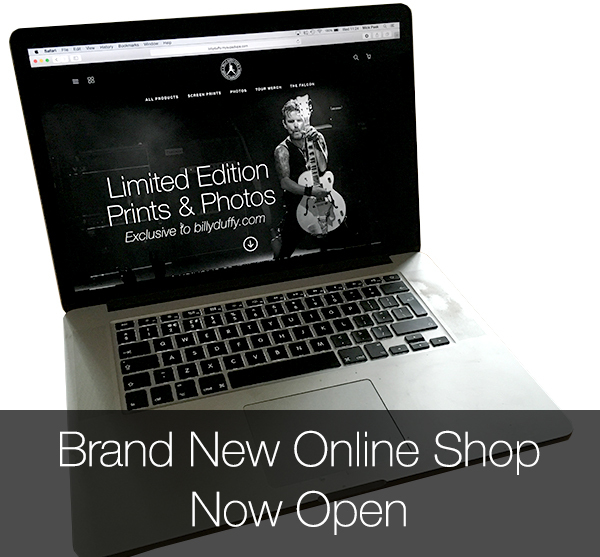 With all the orders from the night now fulfilled we are making the remainder available to purchase at our updated Billy Duffy Online Store.